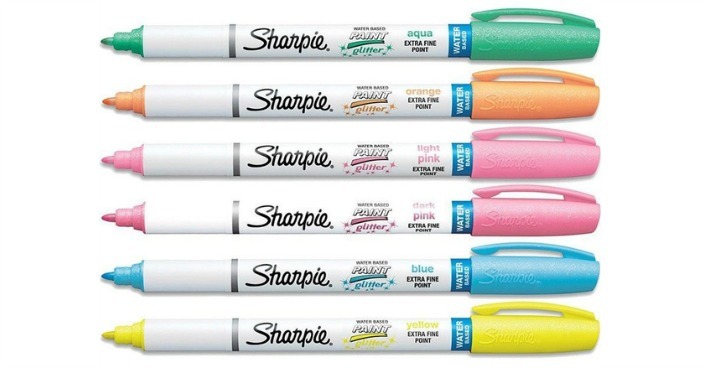 36-Pack Sharpie Glitter Paint Markers Just $19.99! Down From $158! You are here: Home / Great Deals / Christmas Deals / 36-Pack Sharpie Glitter Paint Markers Just $19.99! Down From $158! Tanga has these 36-Pack Sharpie Glitter Paint Markers for just $19.99 (Reg. $158)! Get creative with Sanford Glitter Paint Pens by Sharpie! Use them for making paper art, greeting cards, invitations, collages, coloring books, and more! This set of water-based paint pens are archival quality and non-toxic. Each order will come with 12 3-piece sets for a total of 36 markers.